Are you giving some thought to selling your home or land? Wondering what the current market value might be? If you would like a free market analysis of your property now, complete my Market Analysis form. I love Lake Anna and the surrounding area! Let me help you find your waterview , water access , or waterfront home or lot, here at Lake Anna, Virginia! Make Lake Anna your home away from home, vacation home, or enjoy full time living in a permanent home! Looking for that perfect lot for your future dream home? Looking for a builder or new construction? I can help you in all of you in all of your searches. Home, land, farm, just let me know what your needs are and I would be glad to help you find your perfect lake, country or in town dream! Lake Anna’s 17 mile length and over 270 miles of shoreline offers great living and boating opportunities along with many species of freshwater fish that abound in our waters. Properties on Lake Anna are generally included in communities, however non-subdivision properties can be found. Both communities and non-subdivision properties offer both lakefront and lake view homes and land, while most communities also offer one or more common areas with ramps and boat slips for non-waterfront properties. 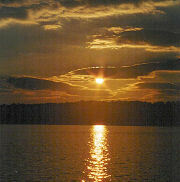 Lake Anna is comprised of 2 sides, public and private, which offer 2 distinct living possibilities. The public side, the larger of the 2, offers a number of marinas, ramps, campgrounds and other amenities. The private side however, is restricted to owners of properties living there, this being preferable to some due to it’s private nature and minimal boating traffic.